Chester Bennington’s widow Talinda has requested certain details be left out of her husband’s autopsy report. Talinda’s lawyer, Ed McPherson made contact with the County lawyer for the Coroner on Friday, requesting the information be redacted. At first the Coroner’s lawyer refused. However, McPherson continued to plead the case, making the argument how ‘marital privilege’ should ensure this information remains protected. Eventually, the Coroner’s lawyer agreed with McPherson, taking the passage in question out of the the official autopsy report. However, some media outlets have published the details in question. Fun fact- When your husband dies by suicide, the LA County Coroner’s office will PARAPHRASE your private conversation with them to dramatize and sensationalize the story and then SCUMBAG FILTH like TMZ post it for the world to feast on. It was redacted to protect all the kids!! Linkin Park singer Chester, who was just 41-years-old, was found dead in a suspected suicide at his home in July 2017. 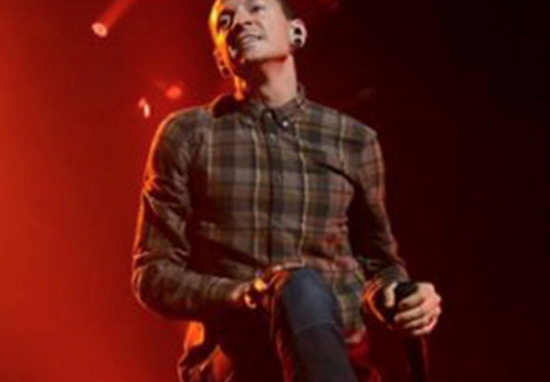 Chester Bennington was an artist of extraordinary talent and charisma, and a human being with a huge heart and a caring soul. Our thoughts and prayers are with his beautiful family, his band-mates and his many friends. All of us at WBR join with millions of grieving fans around the world in saying: we love you Chester and you will be forever missed. One week ago, I lost my soulmate and my children lost their hero – their Daddy. We had a fairytale life and now it has turned into some sick Shakespearean tragedy. How do I move on? How do I pick up my shattered soul? The only answer I know is to raise our babies with every ounce of love I have left. I want to let my community and the fans worldwide know that we feel your love. We feel your loss as well. My babies are so young to have lost their daddy. And I know that all of you will help keep his memory alive.